Patella Tendonitis, Runners Knee, Jumpers Knee, Osgood Schlatter’s, Patella Femoral Pain Syndrome, Chondrolmalacia and many other diagnosis that refer to this problem are prevalent in athletes. This webinar will discuss this condition from a pathological, biomechanical and tissue tolerance approach. We will provide evaluation strategies to determine the nature and stage of the condition, and demonstrate new ways to treat, progressively exercise, and impact biomechanics to improve the condition. Learn evaluation strategies to determine the stage of the condition, so we can properly place them on appropriate intervention. Understand the rehab continuum for this – what to do and when to do it. Learn high tech methods and Rocktape strategies for intervention. Learn exercise progressions that work and transfer to less pain and better performance. Utilize focussed biomechanics that make a lasting impact on clients outcome and overall experience. Tony Mikla is a sports physical therapist and performance coach. He is the owner and President of KIME Human Performance Institute in Sacramento, CA. The practice is dedicated to the improvement of his clients’ performance in life and on the field. Dr. Mikla speaks and teaches nationally on sports physical therapy and is active in research having published multiple papers in international journals. He previously served as the Physical Therapy Manager at the world renowned EXOS in Phoenix, AZ, working with best athletes in the world. 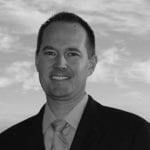 He is adjunct faculty in PT at Sacramento State University and Northern AZ University. In 2015, Tony was named a finalist for the NSCA Sports Medicine Specialist of the year.